Some things are hard to find. I’ve been working on this blog since September 2006 and this is the first time I have found an excellent report on Citrix history from an independent source. If you have about ten minutes, please read NetIndustries summary for Citrix. It’s interesting because I’ve never heard some of these things before and I’ve been involved with Citrix since 1993. I’ll give you some examples. Citrix Systems was founded by Edward Iacobucci, a software developer with a long-standing bent for business. His family hailed from Argentina, and he attended high school in Atlanta. Though he loved mathematics and science, Iacobucci was also fascinated by business early on, and as a teenager was president of a company set up through the Junior Achievement program. He was introduced to computing at Georgia Tech University in the 1970s, and went on to work for IBM. Iacobucci became acquainted with Microsoft’s entrepreneurial genius Bill Gates when the two worked together on a joint IBM/Microsoft project to develop the operating system known as OS/2. By 1989, Iacobucci had decided to leave IBM. He was offered a job at Microsoft as chief technical officer of its networking group. But Iacobucci instead gathered capital to go out on his own. He began with $3 million, raised on his vision of a more fluid world of computing, where different machines could run on any kind of software, and perhaps devices like televisions and telephones could be used to connect to powerful central software servers. 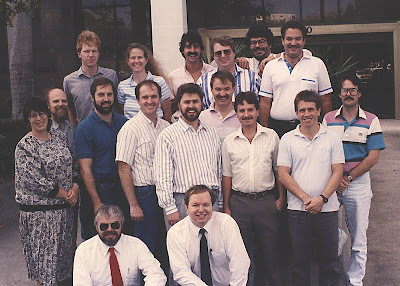 Iacobucci first set up Citrix in Richardson, Texas, but quickly moved back to Coral Springs, Florida, where he had been living while working for IBM. The company began with five engineers, who also left IBM’s Florida offices. The young company’s chief executive was Roger Roberts, a veteran of Texas Instruments. Iacobucci was chairman. Citrix spent two years developing its first product, which was called Citrix Multiuser OS/2. Multiuser was to work with OS/2, which Iacobucci had spearheaded for IBM. It would let more than one worker at a time tap into the operating system, through a central server computer. The company went through a second round of financing, another $3 million, in 1990, and by 1991 was ready to bring out its first product. Just days before Citrix was prepared to ship Multiuser, Microsoft announced that it would drop OS/2 in favor of its new operating system, Windows. This was horrific news for Citrix. With OS/2 now an obsolete technology, Multiuser was virtually useless. Citrix had spent $6 million, and now had little hope of recouping much of this through Multiuser. At a September 1991 board meeting, the members argued about whether to call it quits and shut the company down. But Iacobucci and CEO Roberts were certain that the company’s engineers could start over, and make a Windows version of Multiuser, if only Citrix could get more financing. The bold sections I found the most surprising. I did not know that Citrix almost called it quits in 1991. I also did not know that Ed had been offered a job at Microsoft. Some early investors in Citrix were doubtful that the company could keep going. But eventually they agreed to put up more money, if other investors could be rounded up, to spread the risk some. The company came out of its crisis with another $5 million to keep it afloat until it could sell its new Multiuser. Intel was one big new investor, and another was Microsoft. Microsoft bought between 6 and 7 percent of the young company, and put one of its people on Citrix’s board. So though Microsoft’s ditching of OS/2 had almost capsized Citrix, the software giant then came to the rescue. Over the next four years, Microsoft put a total of $2.4 million into the company. I had heard that Microsoft had bought shares in the company from that time and that they owned around 7 percent of the shares. This is the first public documentation I have seen about this arrangement. I was unaware of the $2.4 million altogether. I am not sure if this is for stock or in exchange for royalty payments on Windows. The rest of the information has been covered from a few different sources. The early history is very deep and it seems like someone from Citrix or someone very close to Citrix must have wrote it. It ends at 2002 and there is no indication that it will ever be updated. The final quote I will leave you with is about Ed’s original vision for Citrix technology. The agreements with hardware manufacturers put Citrix closer to the goal Iacobucci had always had for it–to run sophisticated software from simple devices. Iacobucci envisioned the next wave of “thin” machine as an “information device” as opposed to a conventional computer. “… you take your keyboard, plug it into a phone jack and a monitor, and that’s it,” he speculated in a 1998 interview with Fortune. Iacobucci was imagining an essential transformation of the computing world. This vision is still true. My post from yesterday demonstrates that.